By crossing one of the bridges from the city centre you reach the Sachsenhausen part of the city south of the Main river. The old town part, Alt-Sachsenhausen, at Affentorplatz is famous for its old cider bars. 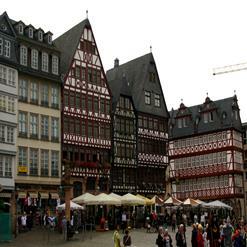 You can also walk along the river bank or visit the Schweizer Straße.